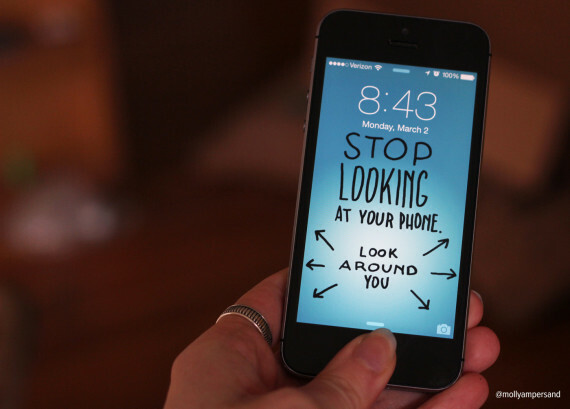 McLeod, a designer living in Oakland, California, created a collection of wallpapers inspired by the unhealthy compulsion many of us feel to pick up our phones. 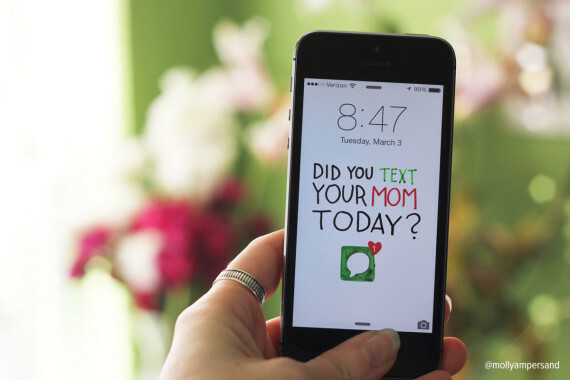 She made them for herself after analyzing her own cellphone habits, but they're free for anyone to download and use. "I found myself sort of using [my phone] a little bit too much, you know, whenever I had a few idle seconds," McLeod told The Huffington Post. "If I was waiting in line or waiting for a train, I would habitually take it out of my pocket. And I just didn't like that feeling." Science and philosophy say boredom can actually be good for you, and that we should embrace the thoughts we have when we let ourselves unfocus. "I find I come up with my most creative ideas when I'm not looking at a screen," the designer explained. 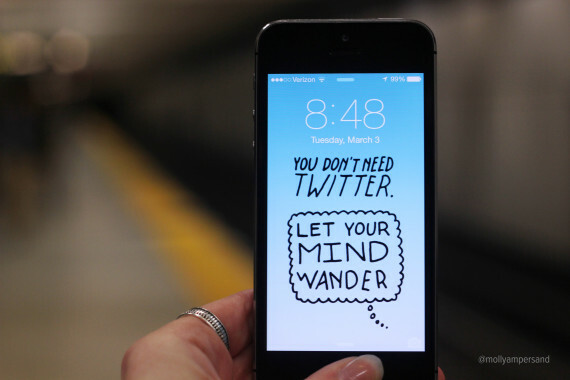 McLeod has been challenging herself to use her phone less, particularly on the train to and from work. She's made a game, too, out of trying to figure out what other train passengers -- who are all, of course, on their phones -- are doing based on their finger movements, be it texting, reading an article or playing "Candy Crush." A self-professed Instagram lover, McLeod is also trying not to photograph every pretty thing she sees. "It's sort of like a dopamine hit -- it feels good when people like or share something," she stated, an observation that's backed up by research. But it can also give us an uncomfortable feeling of dependence on our devices. McLeod, for her part, has been making progress. "Yesterday, I was biking in Oakland around the lake at sunset, and it was just really picturesque. And there were people walking their dogs, and playing in the park, and the sun was setting, and it was just so beautiful. But then I was like, 'No, I'm just going to enjoy it and move on. 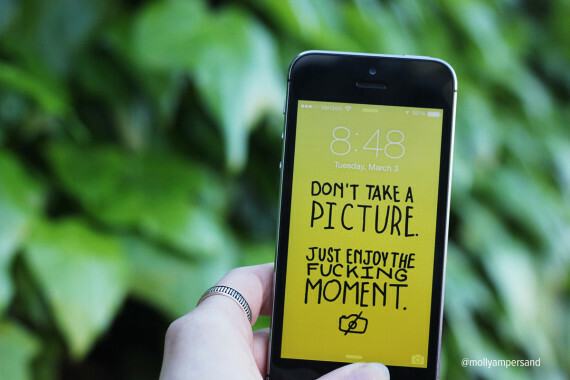 I don't need to take a picture of everything.'" Click each wallpaper image for a downloadable version.